If you’re looking for space saving office chairs, you’ve come to the right place. Our range of multi-purpose folding seats are ideal for canteens, meeting rooms and conference areas, and they can be folded flat for convenient, compact storage. 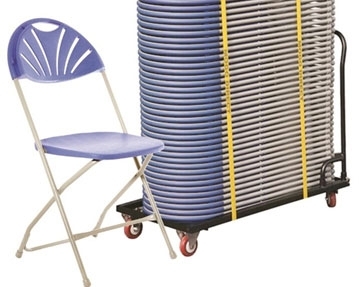 Extremely lightweight, they can easily be stacked on a transport trolley and moved from location to location with minimal hassle. Some versions even include useful handholds for effortless handling and transportation. 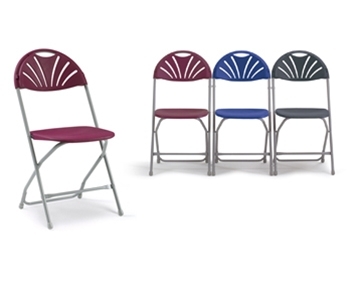 As well as being incredibly practical, our high-quality folding chairs don’t compromise on comfort. Featuring contoured backs and ergonomic curved seats, they provide a high level of back and leg support and you can select versions with soft upholstered padding for a more pleasurable seating experience. To complement our chairs, we also offer a wide range of coordinating folding tables. With an array of styles and colours to choose from, you should be able to find something to suit your requirements. You can benefit from impressive value for money and discounted prices when you buy our folding furniture. 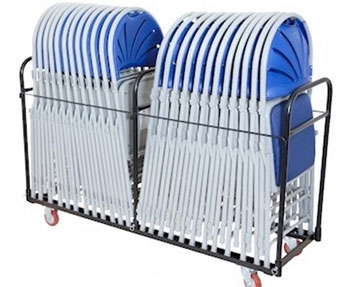 We also offer a variety of cost-efficient bundle deals which include 40 chairs and a transport trolley. If you would like to find out more about our folding seating solutions, browse the collection further.